Ladiesssssss, I really exciting to PUBLISH this today! Sorry for the delay, i should have publish this 100 years earlier but i was busy with travel lately. 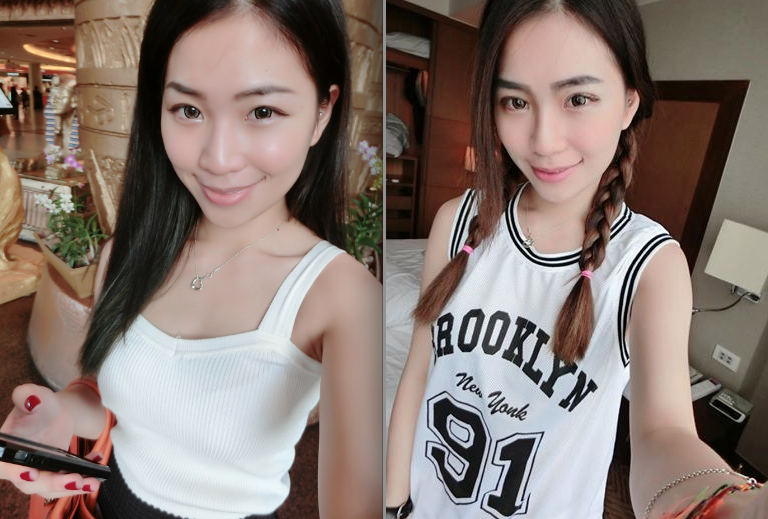 Add on, it's a long post, i don't wanna missed out anything..That's why it takes time to complete this blog posts...I guess most of you all already realized about my new double eyelid right! I've received tons of message/comments recently.. asking me about my eyelid. Yes, i know there's a lot of you out there who are curious about all the details & procedure about this. Therefore, i'm going to share this out! You know what, I always dream to have a bigger and brighter eyes. 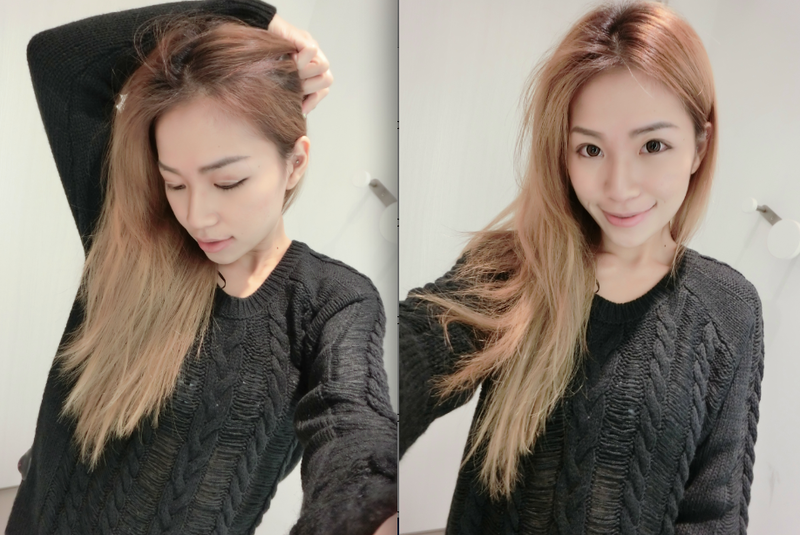 Double eyelid is really important, it can definitely enhance & creates a bigger eyes. Cosmetic surgery are pretty common these days. It's different with plastic surgery because Cosmetic Surgery is more focused on enhancing appearance instead of changing it. It's something minor & the recovery is definitely faster than ps. I have always been open to the concept of surgery even though maybe i don't really need it. I was never unhappy with my looks, but come on... who don't wants a better looks? I did feel that certain areas of my face could be improved. For example: my eyes, and my skin! Before the surgery, I discuss with Dr.Rachel regarding the procedure that suited my eyes and asked about the healing period. Due to I want the recovery period shorter, I chose stitch. To be safe... If I don't like the design of it, I can change in the next few years, since it only last for few years. Plus, there won't be much scarring as compared to the cutting method. I prefer something natural because i never put on makeup all the time. Therefore, Dr.Rachel suggest me to go for the Korean style stitching, medium crease because it creates more natural looks. EASY, Because double eyelid is so so so IMPORTANT! It's clear that your eyelids and eyes are very central to your appearance. My main problem why i need it is that I had inner double eyelid, which is NOT visible and my eyes are super puffy and dull. What i usually do is just covering it with THICK makeup, which doesn't really solve my problem. There's a quote in chinese called "治标不治本"。My eyes looks super heavy and my eyes looks sleepy with thick liner & fake lashes. I'm really sick with heavy eyes makeup & double eyelid stickers!! No matter what kind of double eyelid sticker i use, it's still visible! especially when i close my eyes. Take a look at the left picture, the sticker seriously damn "potong steam" right ,lol….. Check this out, This is how i applied my eyes makeup few years back. But this is what i usually did to my eyes last time. I'm really tired of spending hours on makeup. Basically, the whole procedure is really fast. For like 30 minutes maybe. You won't really feel the pain because your eyes is already numb during the process. You will only feel a bit sting during the moment doctor inject the medicine to your eyelid. If you want me to rate the pain level from 0-10. Hmmm, i would rate it 2/3 maybe. Basically i didn't really feel the pain because i was too busy chit-chat with Dr.Rachel, LOL. Stitching surgery recover faster than cutting surgery. That's the reason why i choose stitching instead of cutting. It's normal to have bruising and swelling right after the surgery, but the bruising and swelling is acceptable. As there is no cutting, you will be able to go home immediately after the procedure. I still go out as usual after the surgery, no big deal. 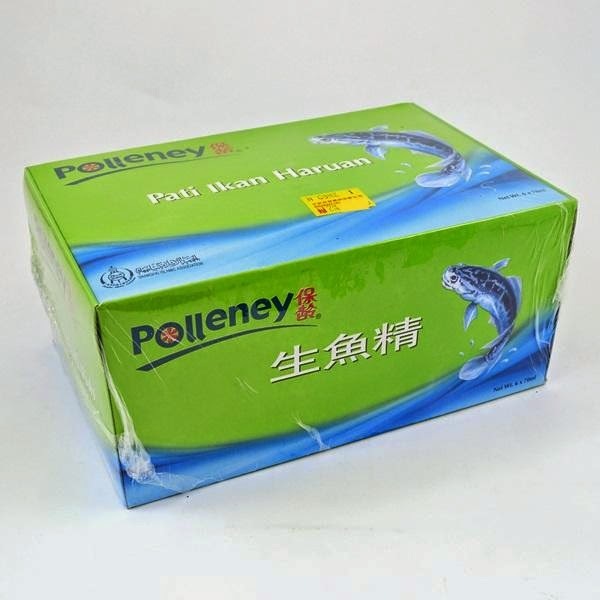 眼睛只是好像哭过那样而已，还是可以出门见人的。It is also advisable to get an ice pack and keep using it to bring the swelling down. Just use alcohol swap to wipe the eyelid everyday will do. Alright, i know most of you all are curious the DOWNTIME photos. 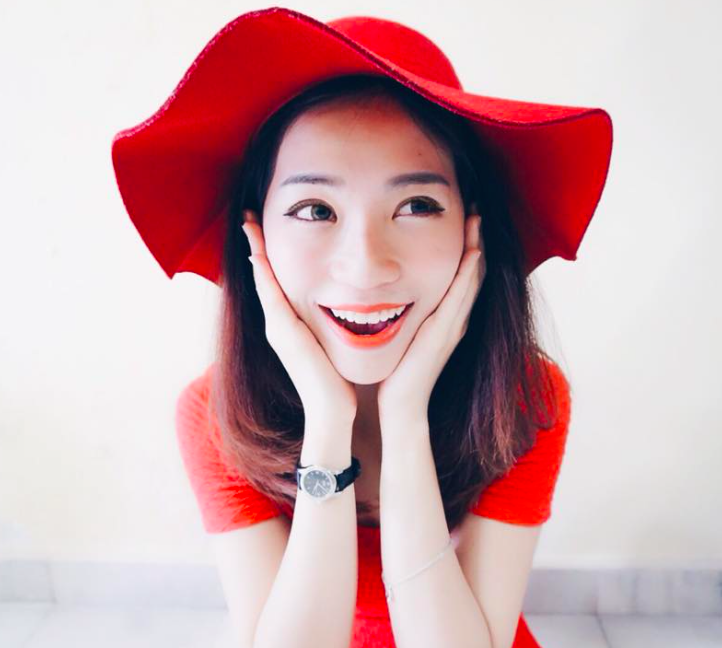 Hopefully these will give you an idea the stages of recovery after a double eyelid surgery. There you go !!!! More more and MORE photos !! My eyelid is so low and unequal, Barely see my double eyelid without the tapes right? My eyes look really small without double eyelid right? That's why i need a double eyelid! Some people don't have bruising and swelling at all, it depends. But me is kinda sensitive, my eyes is a bit swelling right after the surgery. Looks sleepy and my eyelid is heavy, makes me wanna sleep. My eyes getting better, lesser swelling & bruise. Bye ugly inner eyelids, bye epi folds and best of all, bye double eyelid stickers! Double eyelid is so IMPORTANT right! Now i can go out without eyeliner! I'm so happy and satisfy with my double eyelid. It's so much better than before. Everything looks more natural. 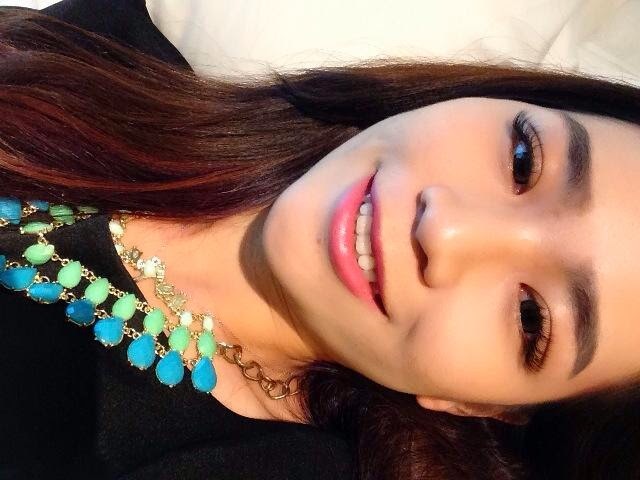 My eyes looks awesome in every angle, double eyelid is more define now. No more visible stickers/lace stickers/glue popping out on my eyelid anymore! No more wasting time on my double eyelid tapes, no more dirty eyelid after double eyelid glue applied. I can wake up everyday like this with this beautiful double eyelid now! This feeling is really really awesome! I'm extremely pleased. Love the results,Thank you Dr.Rachel once again !! I know there's a lot of clinic out there that provides cosmetic surgery nowadays. But make sure you find a good surgeon with experiences and license. It's really important to find a trustable doctor. Don't "gao gao xiu". Of course there's a reason why i choose SkinArt instead of others. Dr. Rachel is really amazing. 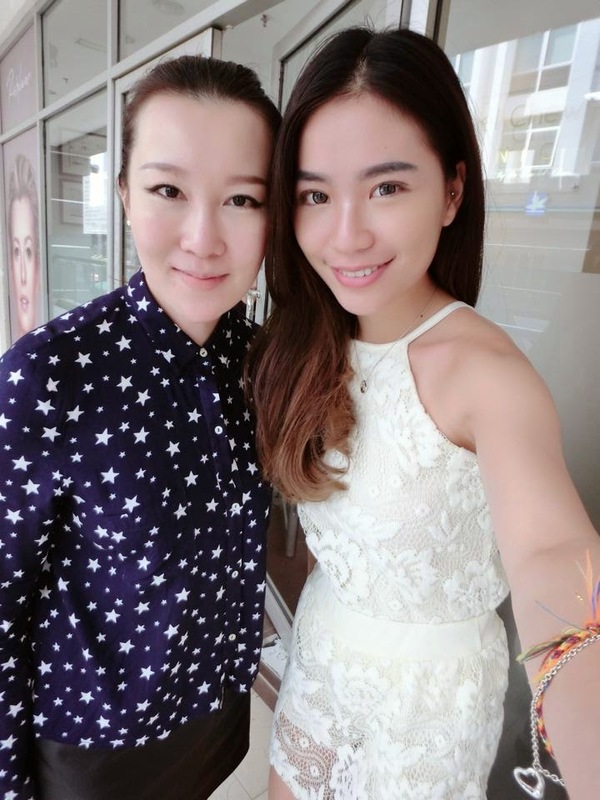 She helped me a lot…from my acne scars skin & now my eyelid. Thanks for enhancing my appearance day by day & helps me to gain back a lil bit of my long lost confident *wink wink* She had my trust, and she definitely deserve a good review. 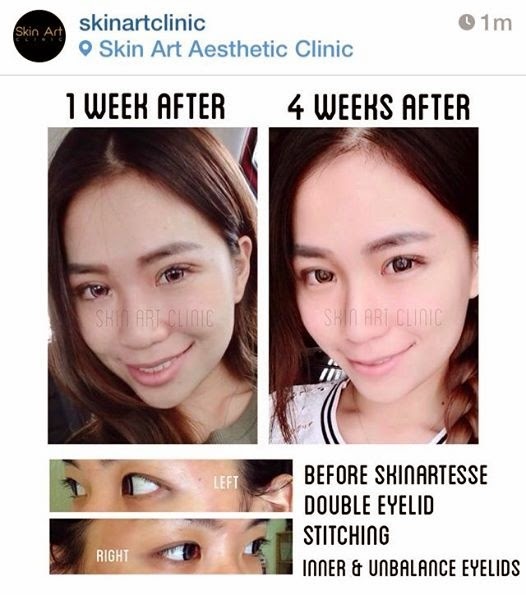 If you are looking for a double eyelids stitching but you are not sure of where to go and who to look for, Skin Art is the place where you should go to. Thank you Karen for this sharing! This means so much as I have been wanting to get a double eyelid surgery ): May I know how much you get this done? hi Karen, i also interested to know the price! Hiiii !! May i know the pricing for the DST? :DD Thanks! Hi Karen, I just had the same procedure done today. I would like to know if you had experience poking sensation of your eyeball when you close your eyelids? 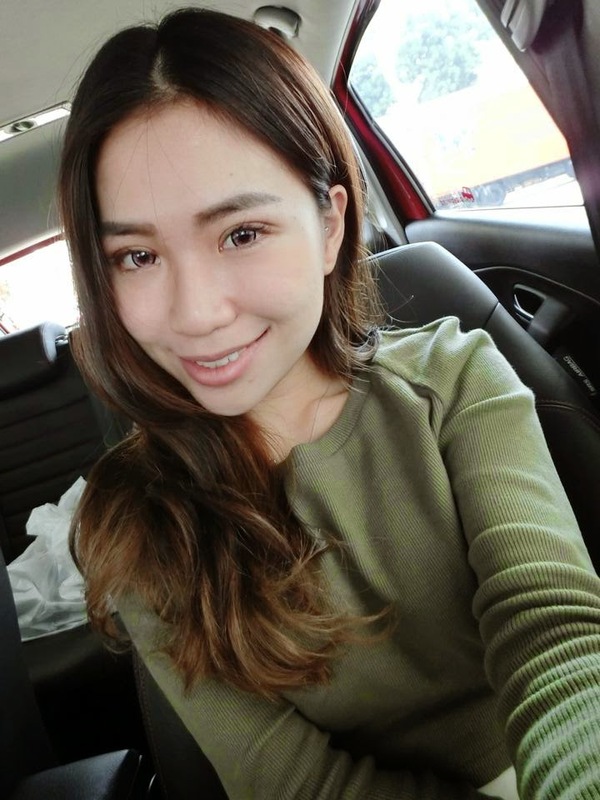 Hi Karen, u really look pretty and different after surgery. May I have your wechat or email address please? I need your advice, thanks. Hi Dear, you can call to Rachel Chew clinic to book for free consultation ya. 1. Can put make up on easily? 2. Is it natural when you close your eyes now? 4. Can rub your eyes after healed? Yes you can still put on make up easily. how many days then can put on make up please? you seem familiar with eyelid tape or glue? 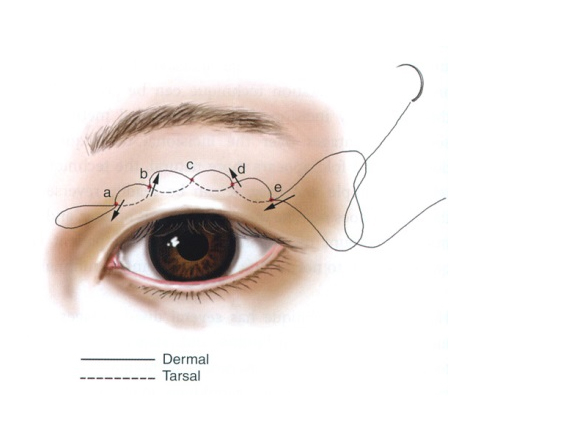 im a bit afraid of taking a surgery and this eyelid tape seems like a great alternative. where did you get yours? Karen, may I know is the surgery permanent or temporary? Does it need regular stitching after a few years? I am looking to do the stitching and that is my only concern. Thank you. Yes, you need to redo after a few years, but this is much more natural compare to the cutting procedure. Hi Karen. After surgery can I come back to Singapore directly or must stay there for a week or so? Thank you! hi are you doing four suture buried or 3 suture buried technique only? Hi, I have just done eyelid stitching too yesterday, and up 'til now I have a discomfortable feeling like something is sticking or scratching my eye whenever I close it, but only on my right eye. Did you have the same problem? Before my surgery I have never gone outside without make up and double eyelid sticker. I love my face but there were few things I couldn`t look in the mirror. That was the main reason why I wanted so badly to have korean eyelid surgery. Love your article! Greetings! is this skinart still available with the service? is the doc still available in the skinart ? You will certainly get all the information concerning ways to establish. DIRECTV Now Log In Your bills via mail with it on the pre-printed envelope.